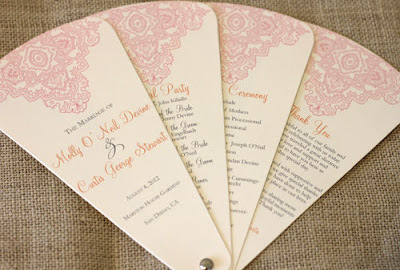 Molly & Curtis chose the Parisian wedding invitation suite in blush, orange & gray and I created these petal program fans to coordinate. I absolutely love these colors together... fun but also so soft! I also worked with Marijka & Brian on their plume wedding invitations and really loved the way these coordinating programs turned out. Very romantic & whimsical! 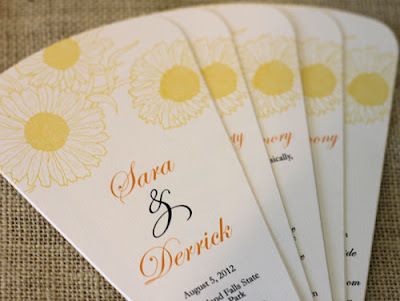 When Sara contacted me about doing a program with a sunflower on it, it was such a natural fit. The cascading sunflowers look so pretty on these petal programs! It never fails that we have an explosion of fan program orders for spring & summer weddings. They are so fun & I'm sure guests love the uniqueness! Lots more to share coming soon! 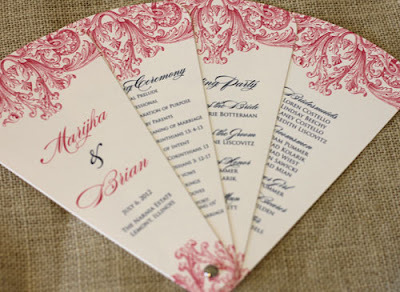 Hello i wish to make this fan as invitation for my wedding, but with what do i have to cut out the shape of petal?? Normal scissors?? ?